Karen started running on the dirt roads of Vermont in the mid-1970s, as a way to stay healthy and fit both physically and mentally. She started trail running in the hills of the San Francisco Bay Area, and ran her first 50K in 2010. She has since completed over 25 ultramarathons. 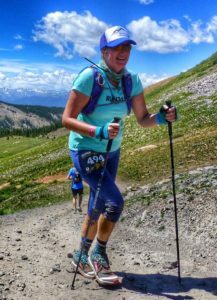 Karen is a USATF-certified coach who has guided many runners to a successful and happy first trail racing experience. She especially enjoys helping new trail runners feel comfortable and have a positive, empowering experience. Karen manages a major conservation initiative to protect all the mangrove forests of the island nation of Sri Lanka. Other than running, she enjoys swimming, yoga and volunteering at the Colorado Therapeutic Riding Center. She lives in Loveland, CO with her partner Roy, Sheena the Irish wolfhound, and cats PNut and Wheels. 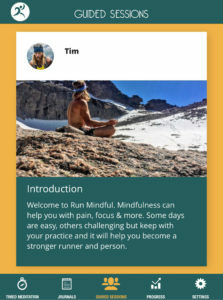 Meet the rest of the Run Mindful Team here.